Calling intermediate wheel throwers, hand builders, and sculptors! We are offering a 6-week session of alternative firing classes designed for intermediate skill levels due to the thermal shock involved in these firing processes. Four two-and-a-half hour class sessions will be dedicated to making pots, and two classes will be 4-hour firing days. 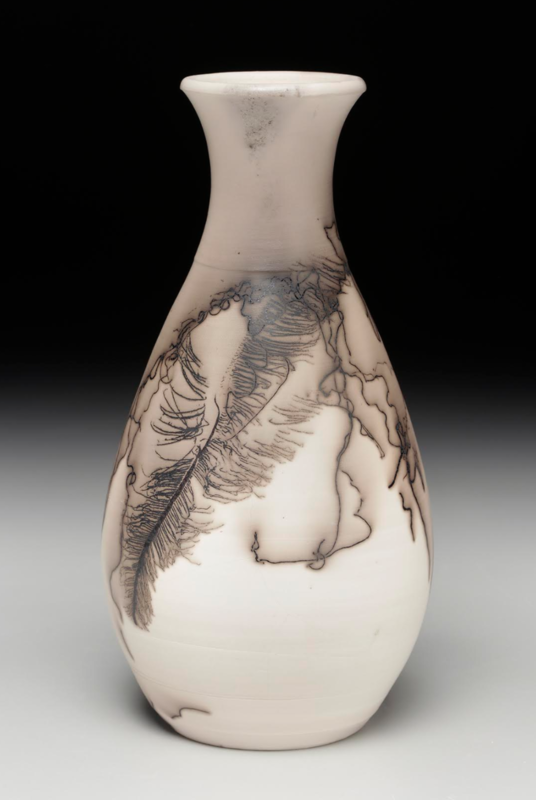 You will have the opportunity to explore Raku (glazed pieces), obvara, saggar, and horsehair in this six-week session! Then we will begin 6 week sessions each focused on one (or two) of these specialty firings. If you’ve never taken a class at The Village Potters before, enjoy a 10% first timer discount if you use the coupon code holidayclass17! These firings are crazy fun…come and enjoy! Class includes 12 hours of Open Studio, and enrolled students may purchase additional Open Studio hours for $10/hour. These raku intensives are designed for intermediate students who can focus on the raku experience with well executed pieces. In future sessions we will focus on other low temperature alternative firings such as horsehair raku, obvara, saggar and naked raku. Go ahead and sign up now, to hold your spot!